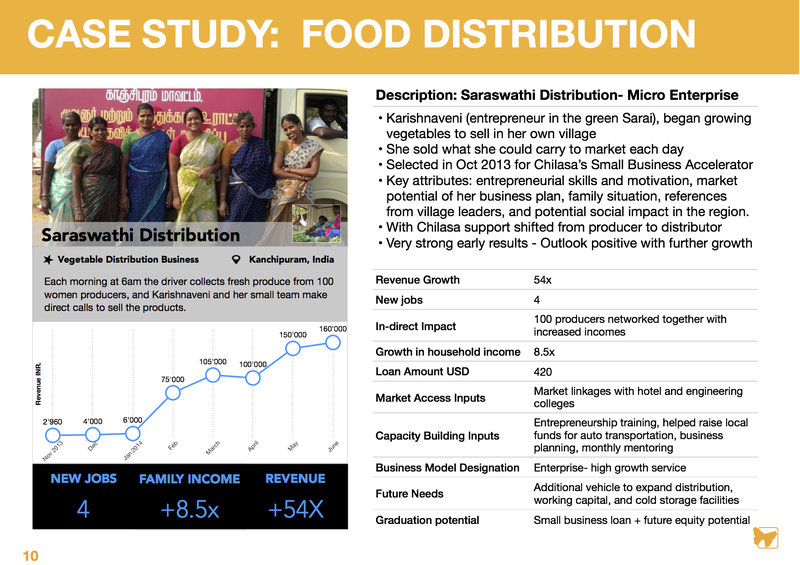 There are over 30m micro finance clients in India, many of which are women operating micro enterprises. Some of these women have the potential, ambition, and circumstances to grow beyond a micro enterprise. However, the dedicated support necessary to make this journey happen is unavailable. From the outset we placed a different set of metrics as the benchmark for success. Our approach is not about access to financial services, but enterprise growth of the clients business. Matched with this, is shifting the focus from livelihoods to employment creation. Our approach is based on action learning and lean start-up methods with the objective of developing a new delivery process and business model that pushes beyond the limitations of microfinance. The data and learning is reaping very positive results. We are in the process of launching a Series A round of investment to expand and unleash it’s full potential. Women are selected on the basis of their skills, motivation, family and community support, and market potential for the enterprise. The objective is to help each enterprise grow by a minimum of 3x during the loan period, create 5 news jobs, and enable employees lift themselves out of poverty. Extensive work has been done on developing micro entrepreneur selection criteria, delivery model, and impact metrics that optimises enterprise growth.